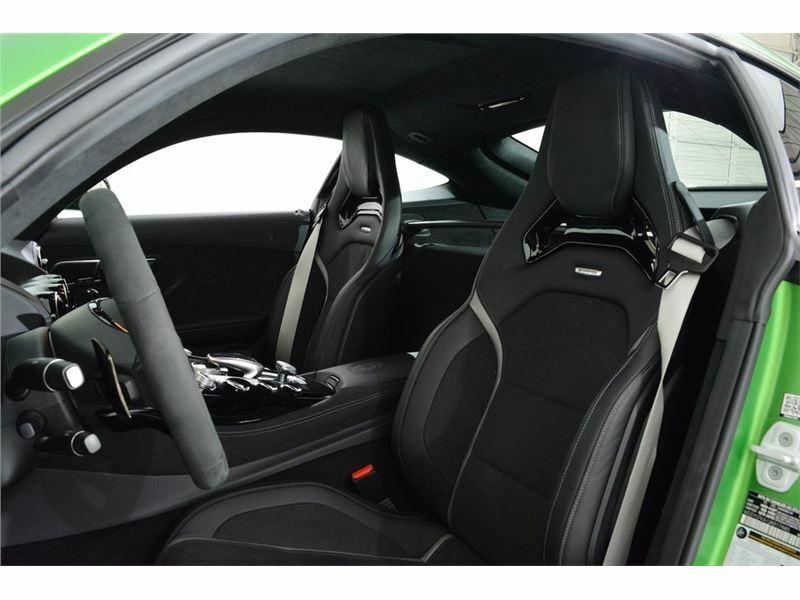 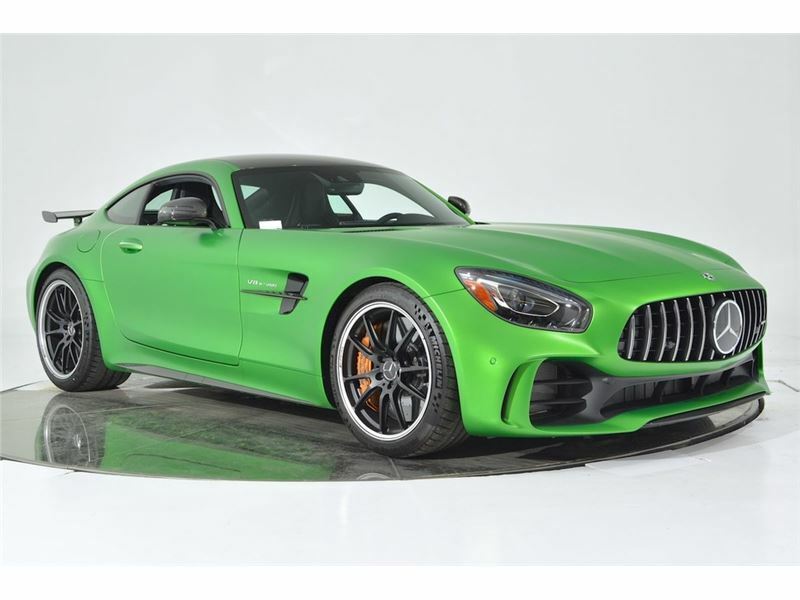 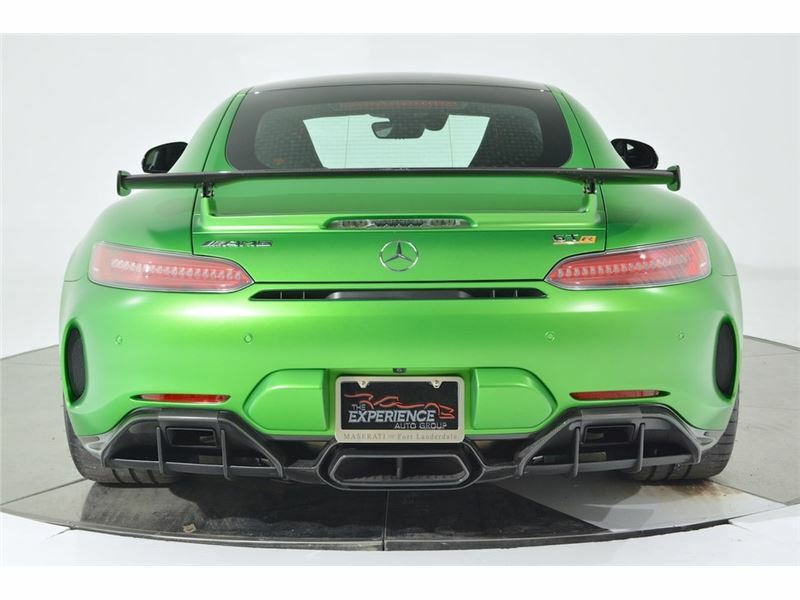 Ferrari-Maserati of Fort Lauderdale is proud to present this stunning Mercedes-Benz AMG GT R. Finished in AMG Green Hell Magno over Black Dinamica and Nappa Exclusive Leather with Silver Contrast Stitching, the AMG GT R has been driven very few easy miles and is in like-new condition. 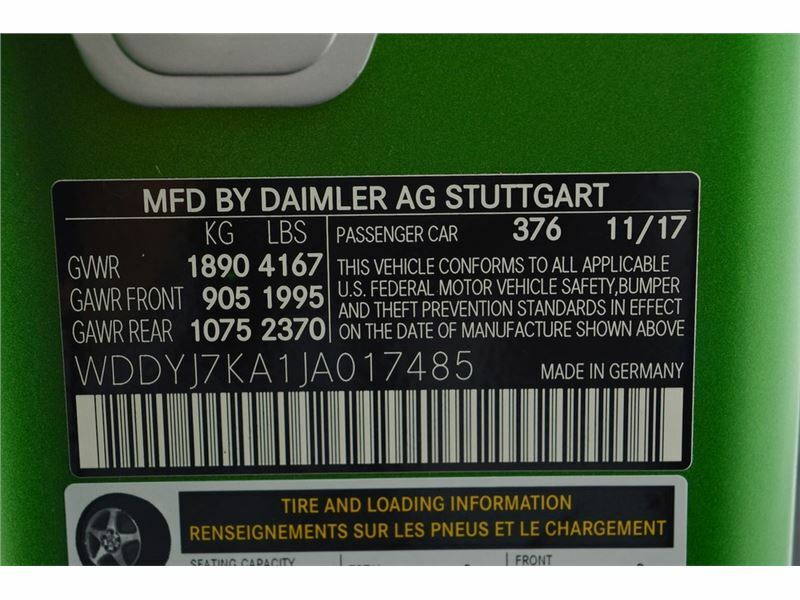 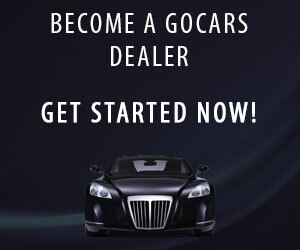 The balance of the Mercedes-Benz Factory Warranty is in effect. 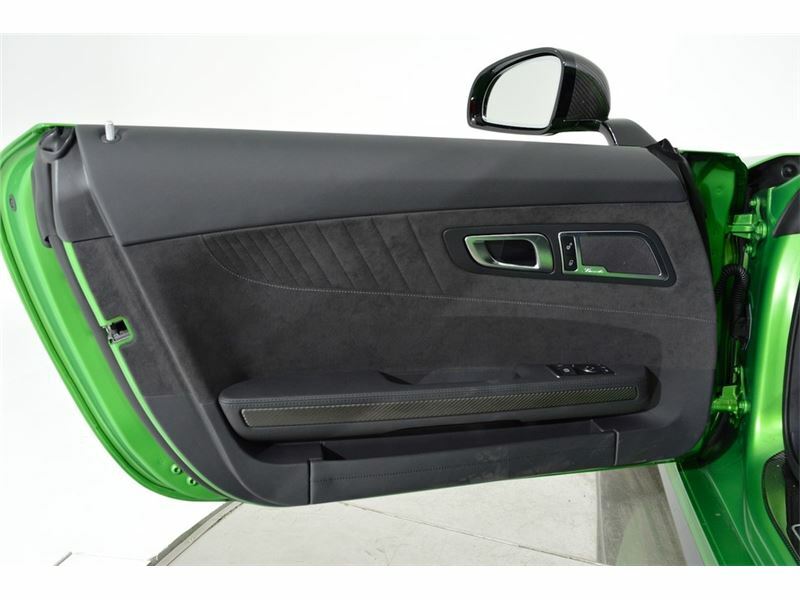 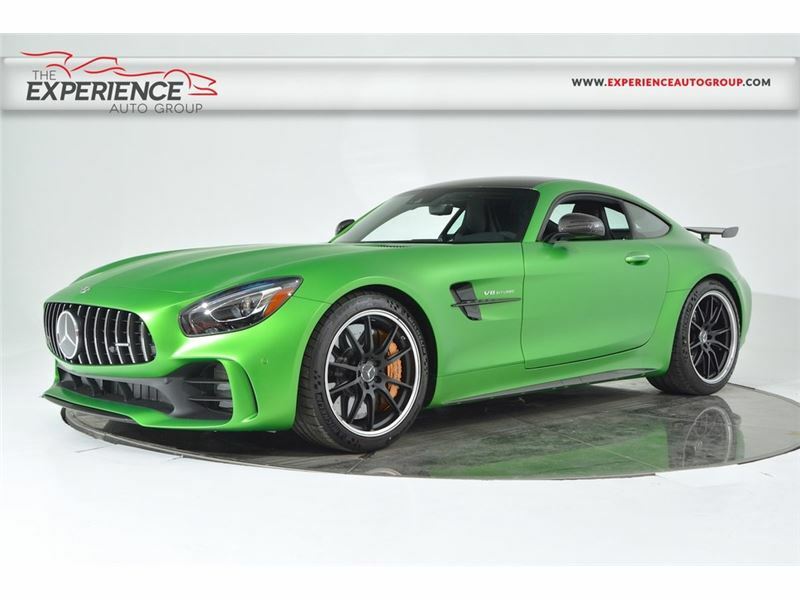 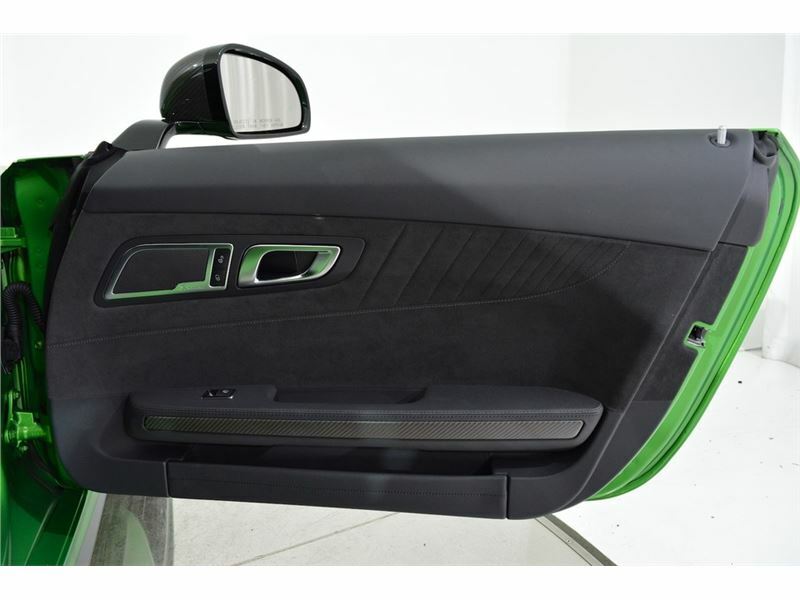 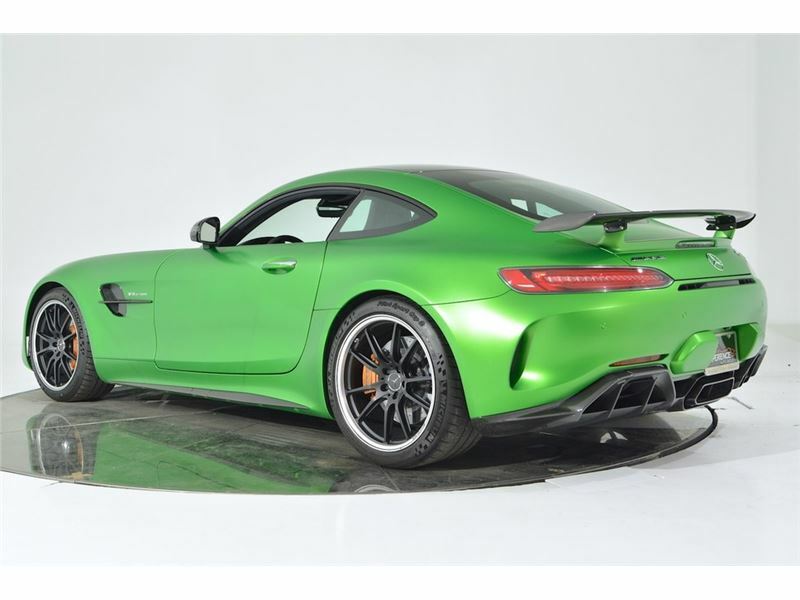 This AMG GT R has been equipped with many fine options including AMG Green Hell Magno Paint ($9,900), AMG Carbon Ceramic Braking System ($8,950), AMG Carbon Fiber Exterior Package I (Carbon Fiber: Front Splitter, Rear Diffuser, Fender Air Outlet Fins, $5,250), AMG Exterior Carbon Fiber Package II (Carbon Fiber: Rear Fixed Wing, Side View Mirror Housings, $4,000), Exclusive Interior Package (Nappa and Dinamica Interior, Black Dinamica Roof Liner, Extended Interior Lighting, $3,600), AMG Matte Carbon Fiber Interior Trim ($3,150), 19/20-inch AMG 5-Twin Spoke Forged Wheels in Black ($1,700), Crossbar in Matte Carbon Fiber ($1,600), Convenience Package (Keyless Go, Power-Folding Mirrors, Auto-Dimming Rearview and Driver-Side Mirror, HomeLink, AMG Side Mirror Logo Projectors, $1,600), Burmester Surround Sound System ($1,300), AMG Carbon Fiber Door Sill Covers ($1,200), and Silver Seat Belts ($500). 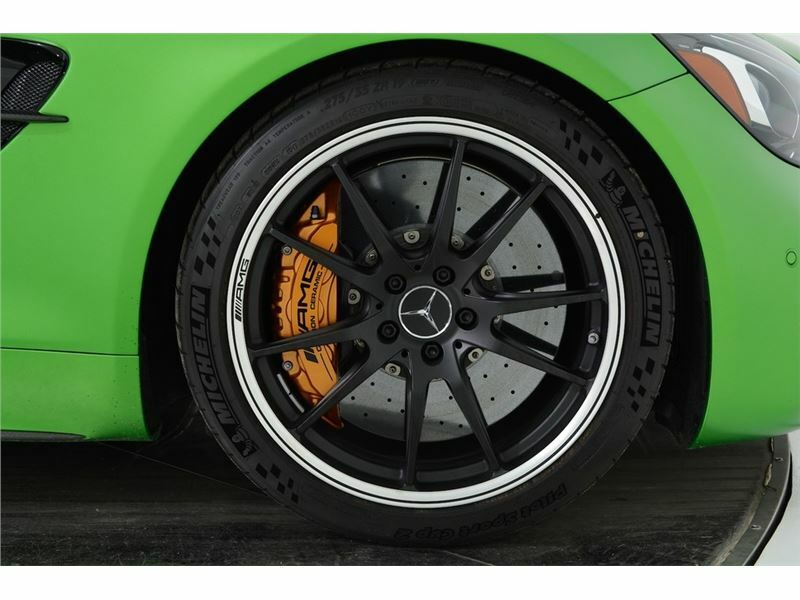 MSRP is a towering $202,115. 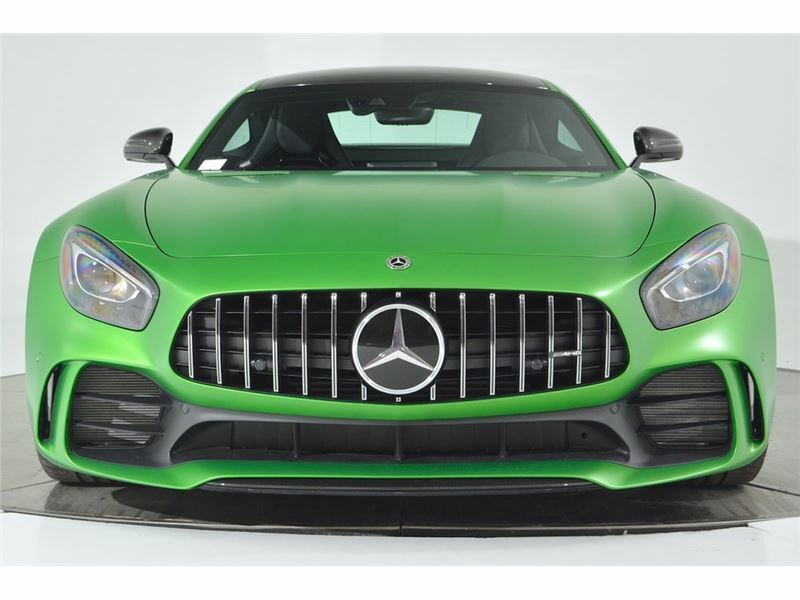 The AMG GT R is the highest performing and driver-focused variant of the AMG GT range. 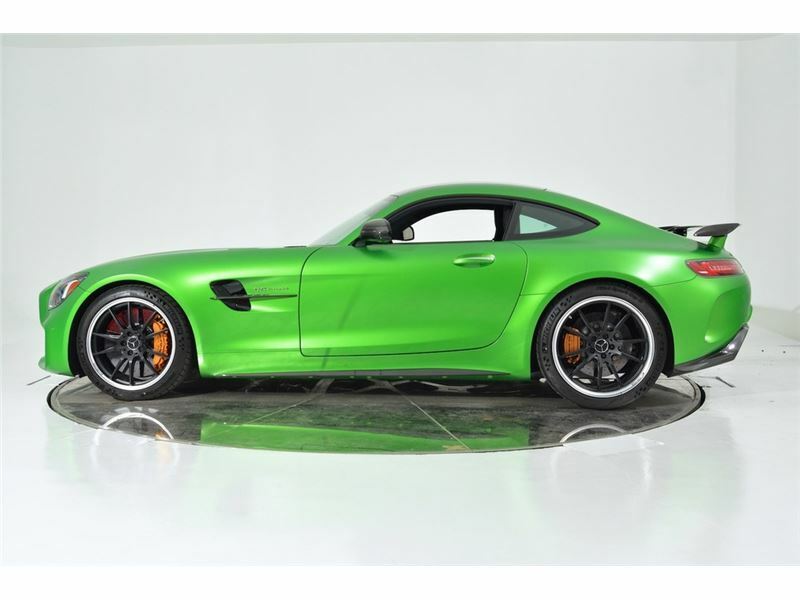 A spiritual successor to the legendary SLS AMG Black Series, the AMG GT R is lighter, more efficient, and even more capable than its predecessor. 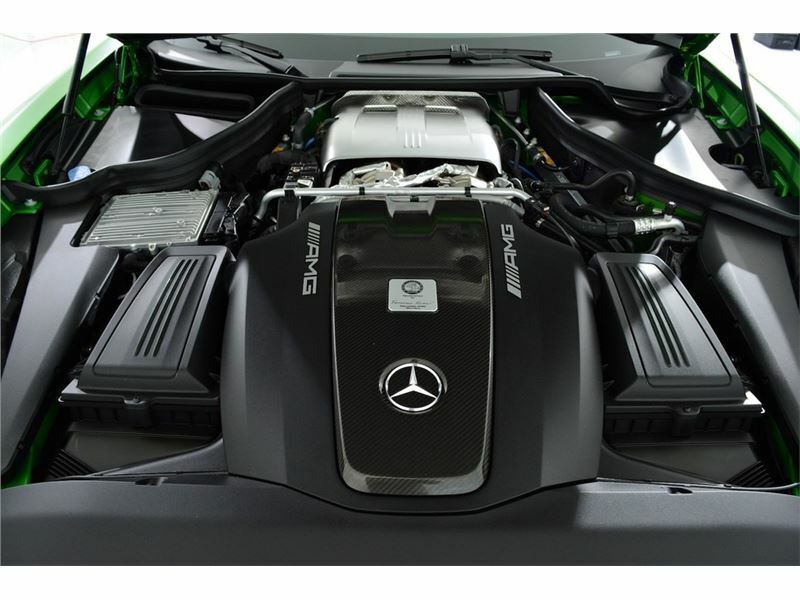 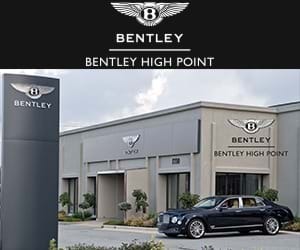 A powerful twin-turbocharged 4.0L V8 routes power through a sophisticated 7-Speed Dual-Clutch Transmission. 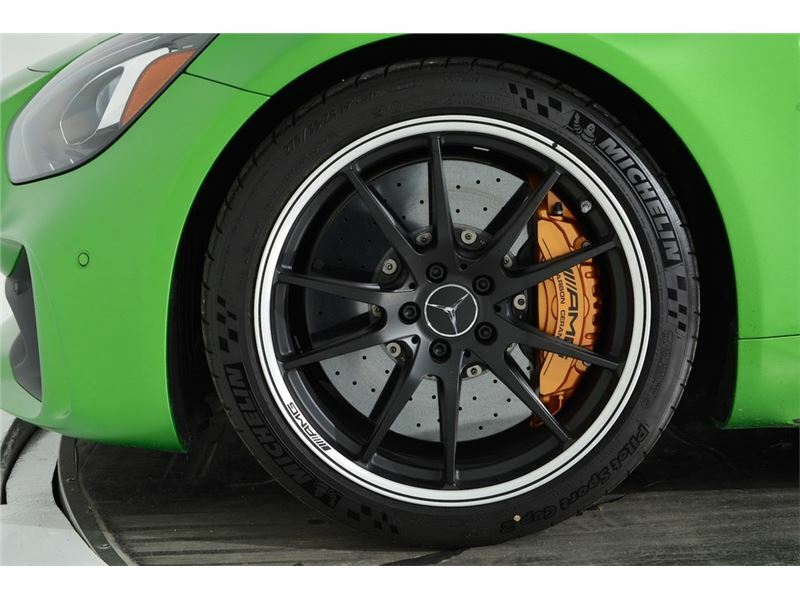 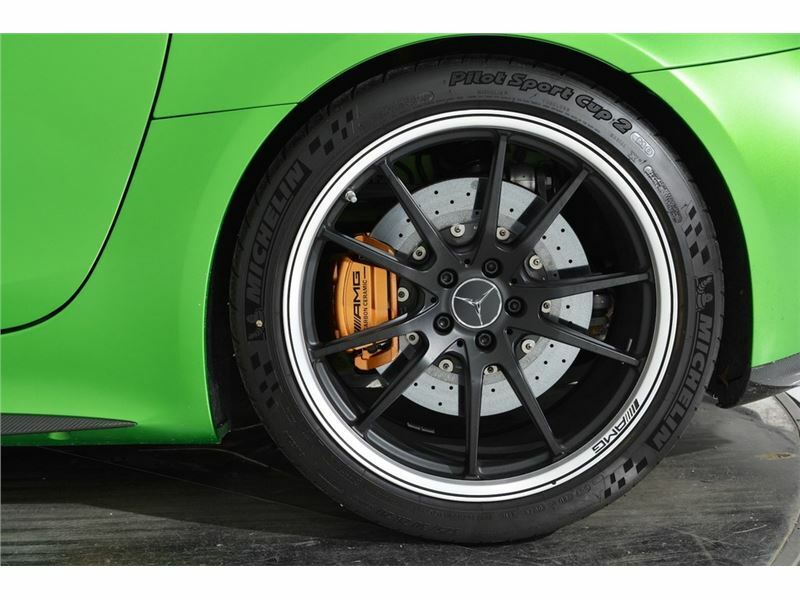 Performance brakes and suspension can be adjusted to suit various driving conditions, and the AMG GT R is equally at home on a relaxing cruise or carving up a track. 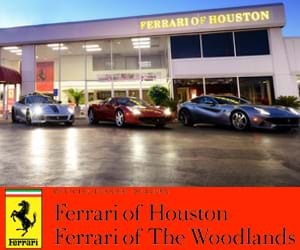 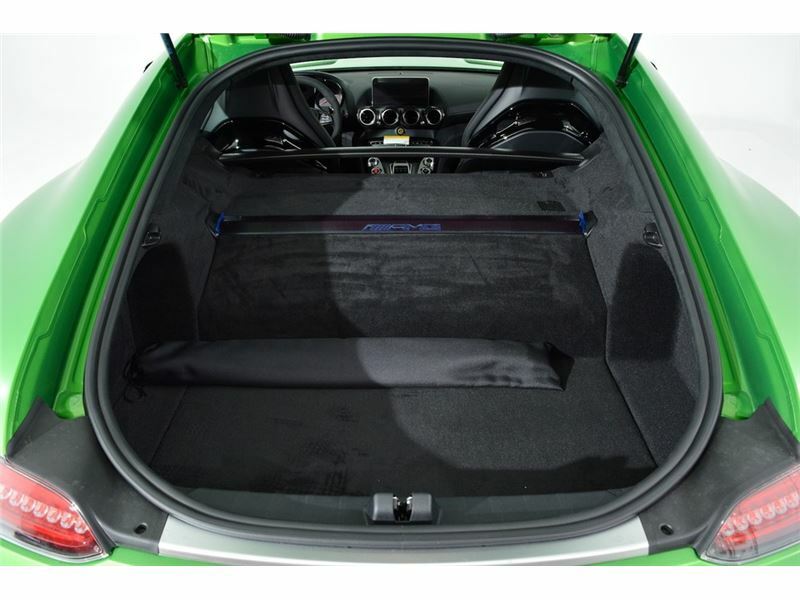 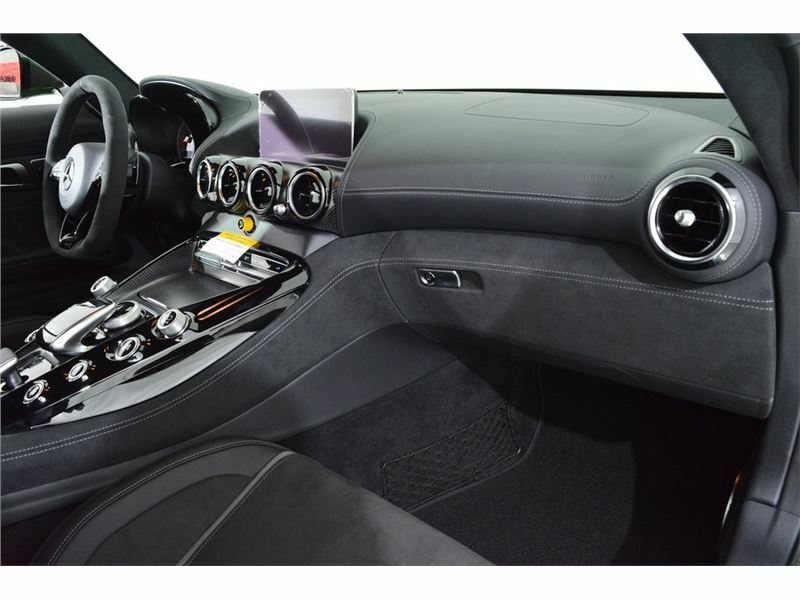 Classic long hood and short deck styling drape an exquisitely crafted interior, and will turn heads wherever you go. 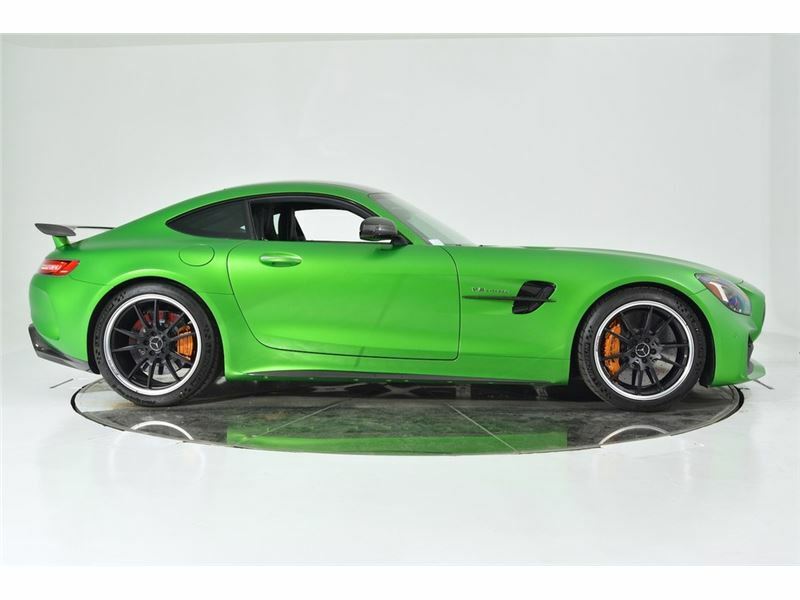 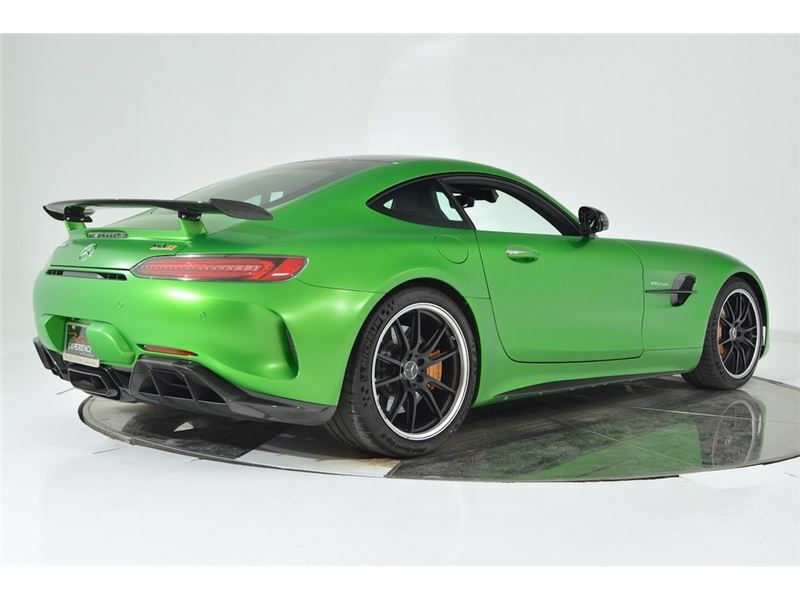 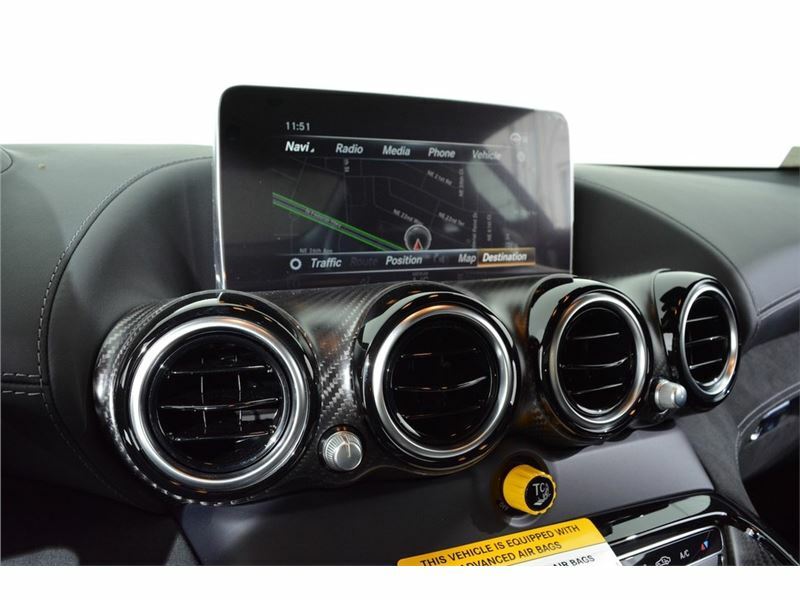 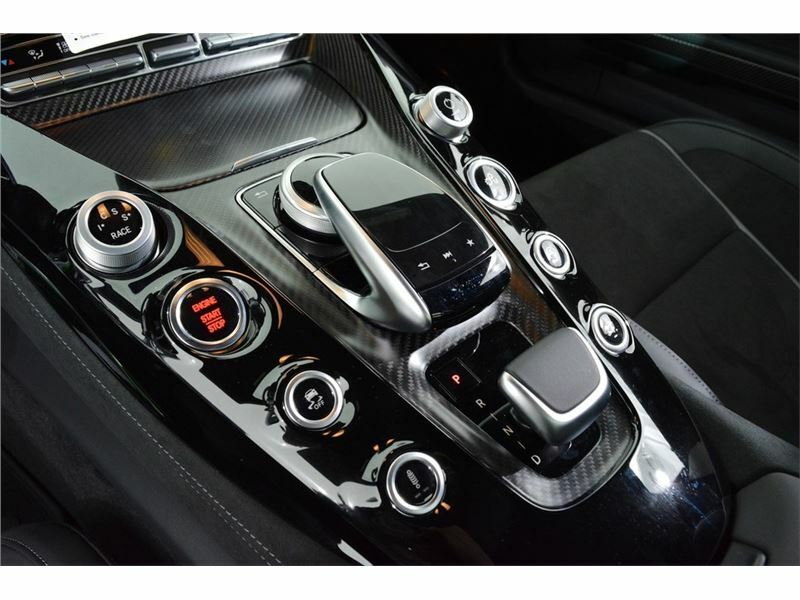 If you are in the market for a Mercedes-Benz AMG GT R, please call or email us today.